Alaska is no stranger to volcanoes. But what would happen in a big eruption? On the Big Island of Hawaii, the ongoing eruption of Kilauea volcano is giving residents a lesson in what it's like to live on the flanks of an active volcano. Fissures oozing lava won't be opening up in southcentral Alaska anytime soon. 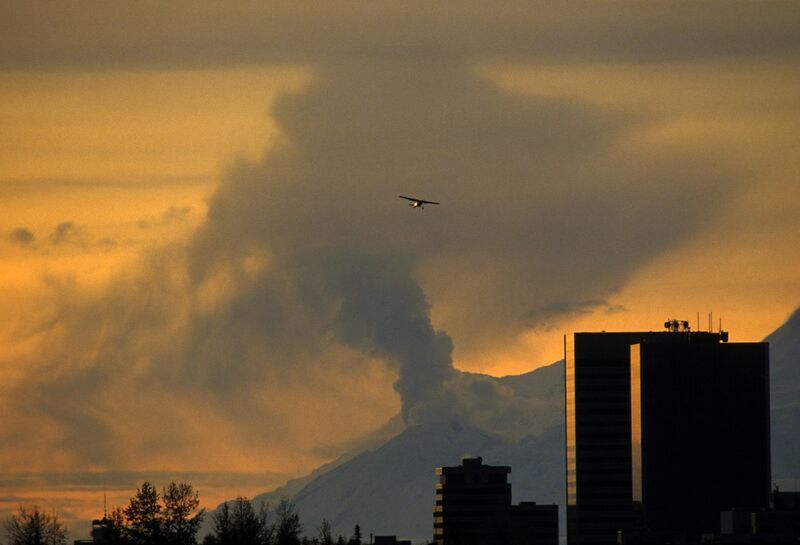 But the region around Alaska's biggest city is hardly a stranger to volcanic eruptions and the mayhem they can cause. Over the past 60 years alone, Anchorage and Southcentral Alaska has been repeatedly dusted by ash from erupting volcanoes strung down the western side of Cook Inlet. 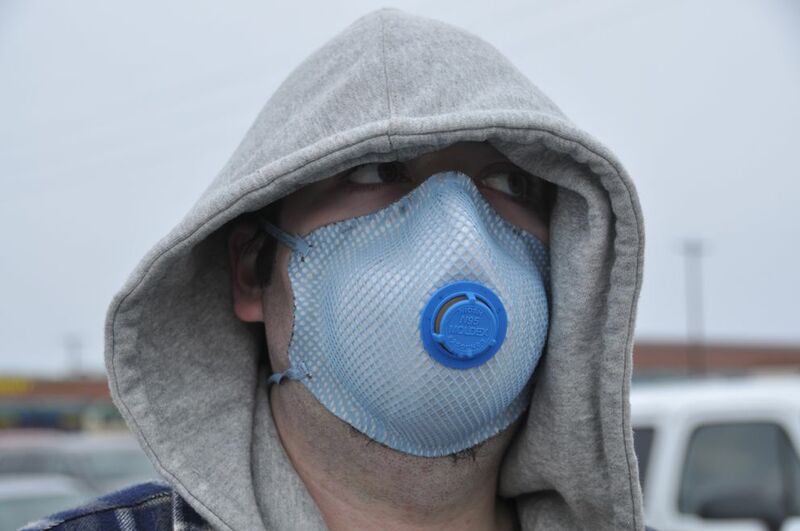 Ash from exploding volcanoes has shut down airports, fouled car engines and machinery and sent residents stocking up on air filters and face masks, most recently when Redoubt erupted in March of 2009. But any of those events pale in comparison to what could happen if one of Alaska's 52 historically active volcanoes erupted on a truly major scale. 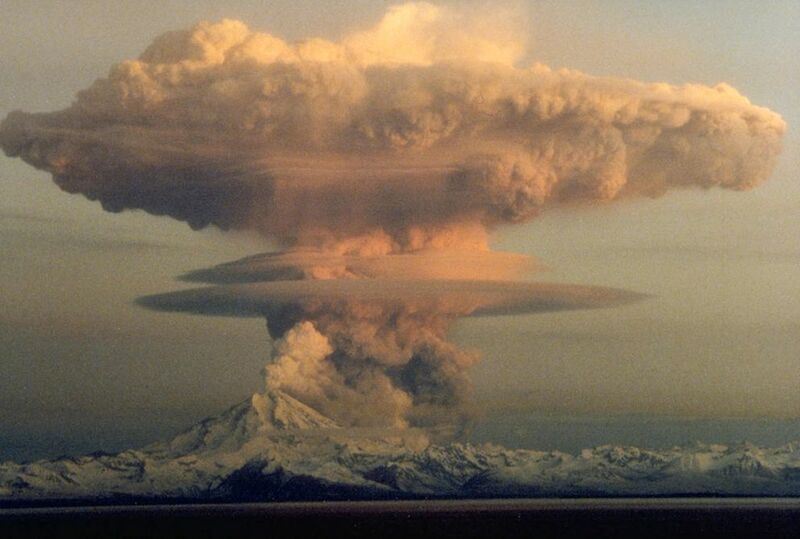 Novarupta, on the Alaska Peninsula in what is now Katmai National Park, erupted in 1912 in the largest volcanic eruption worldwide of the 20th century, according to the U.S. Geological Survey. It devastated the Alaska landscape for hundreds of miles around and dropped gritty ash as far as Seattle. Communities in the territory, especially on Kodiak Island, were hit hard. On the third day of the eruption, "darkness and suffocating conditions caused by falling ash and sulfur dioxide gas immobilized the population of Kodiak," according to a USGS history of the event. "Radio communications were totally disrupted, and with visibility near zero, ships couldn't dock." Roofs collapsed. Buildings were burned after being struck by lightning from static electricity in the ash cloud, which reached the stratosphere. Even today — more than 100 years later — ash from the eruption lifted by strong winds can cause flights to be diverted. If an eruption on that scale happened today, vast ash clouds could blanket large swaths of Alaska with acidic, finely pulverized rock dust, causing serious problems for transportation, infrastructure, health and commerce, said Waythomas. At the high end, a half-foot of ash could coat every surface. Buildings could collapse under the weight of heavy ash. When ash gets wet, it turns to the consistency of concrete, Waythomas said. If Anchorage was walloped by an ash cloud, the biggest immediate impact could be on aviation — and commerce. Because ash can destroy a jet engine, planes flying would be diverted and flights to and from the city would be cancelled, Waythomas said. 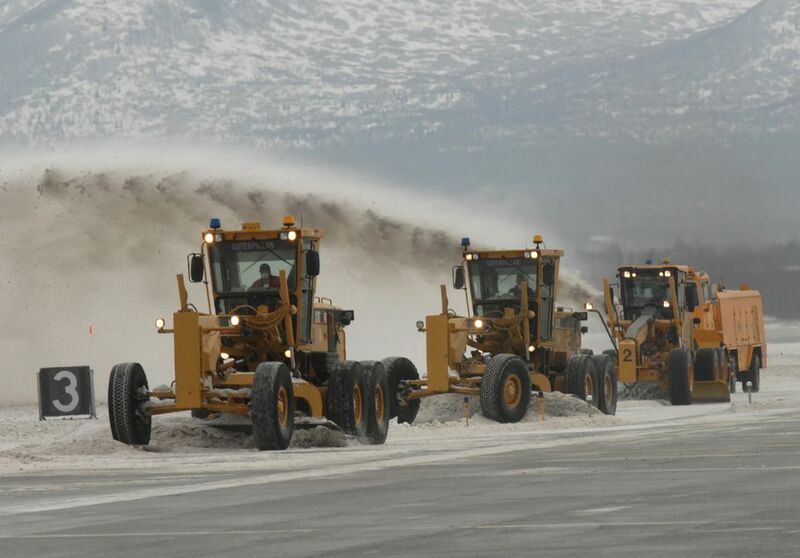 The Ted Stevens Anchorage International Airport would shut down until it could clean up ash from its runways, said spokeswoman Trudy Wassen. When ash fell in 2009 the the airport covered it with snow and used a snowplow to clear it, Wassen said. The airport has special "vacuum sweeper trucks" capable of sucking up ash that could be used in summer, she said. Shipping could be impacted too. Coarse particles of ash that falls on water can form "pumice rafts," of floating, air-pocketed rafts of rock that could litter Cook Inlet. "The pumice rafts could stay intact, move around and cause problems for boats and ships," said Waythomas. Southcentral Alaska has oil and gas infrastructure at the base of an active volcano, though not for long. When Mount Redoubt erupted in 2009, lahars, or volcanic mudflows, caused major flooding at the Drift River Oil Terminal, where crude oil is stored. The location of the terminal — at the foot of Redoubt — has long been criticized for its vulnerability to eruptions. "It makes me nervous," Waythomas said. Hilcorp, the owner of the facility, plans to decommission the terminal beginning as early as next spring. If ash blankets the city, expect the power to go out for at least a little while, Waythomas said. 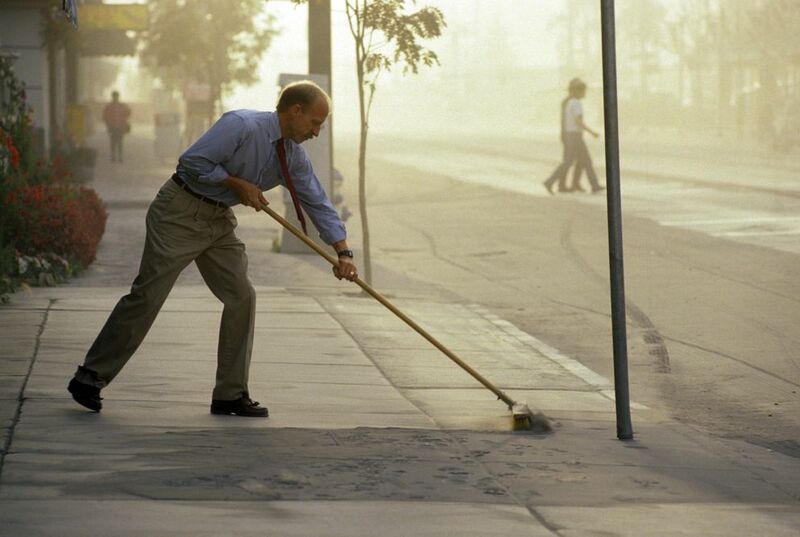 Power companies would want to shield their machinery from the fine dust. Chugach Electric's Beluga power plant, across Cook Inlet, could be vulnerable, said Waythomas. Chugach Electric would shut down any generation plants in the path of a volcanic eruption, said spokeswoman Julie Hasquet. "We would use other sources of generation," she said. Communications equipment could be disrupted, Waythomas said. GCI says its operations centers are designed to be sealed to prevent "external airflow that could damage our systems," according to spokeswoman Heather Handyside. "During other volcanic episodes, communities have experienced power outages and during those events we have relied upon backup generators," Handyside said. The company keeps "a large inventory of filters" to keep generators working and machinery and equipment cool. Anchorage's drinking water, which primarily comes from the glacier-fed Eklutna Lake, would be largely unaffected by a big ash cloud, according to city water managers. The filtering system that makes the lake water drinkable is already designed to remove what engineers call "inorganic particulate matter" from glaciers, said Brett Jokela, the general manager of the Anchorage Water and Wastewater Utility. If for some reason the ash overwhelmed the water treatment system plant, the city could also pull drinking water from a supply of 14 wells and a supply from Ship Creek, he said. Anchorage has been covered by a thick layer of ash before. Dig three or four feet deep and you'll hit layer of ash two or three centimeters thick, Waythomas said. Researchers believe it comes from an eruption of Mount Hayes about 3,500 to 3,700 years ago. "It could have been as much as half a foot when it fell, but it's been compacted." 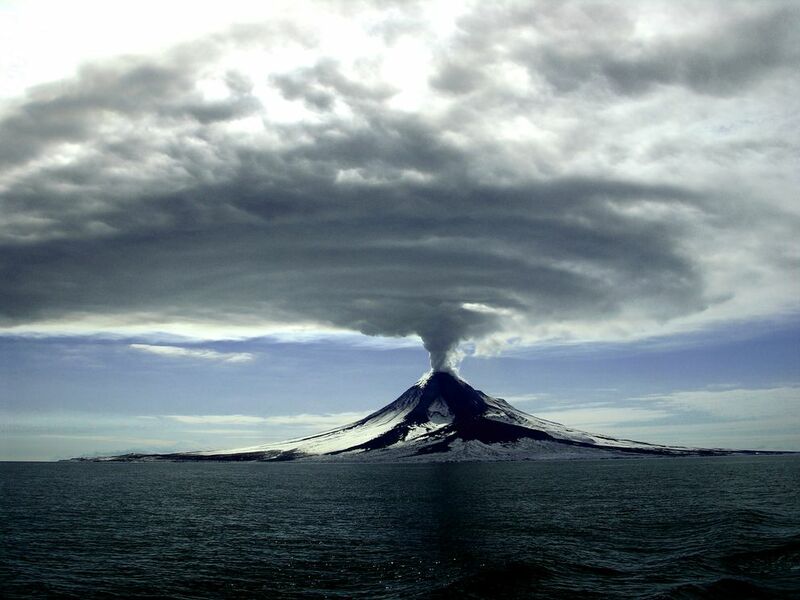 Thinking in geologic time, one of Alaska's volcanoes will eventually go off in a big way. "For me, it's not a question of if," Waythomas said. "It's when." The good news: There would probably be lots of warning beforehand. 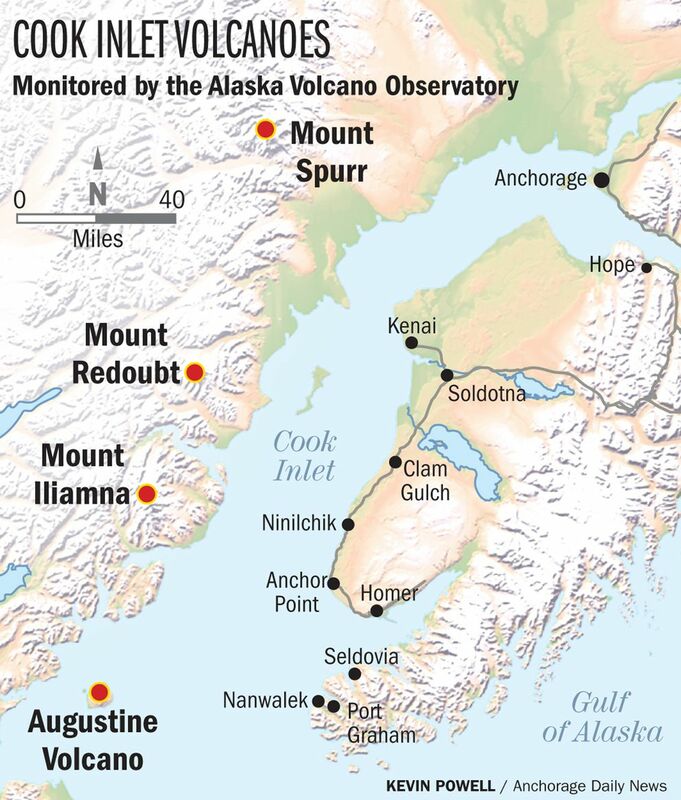 Scientists at the Alaska Volcano Observatory monitor volcanoes around the state with sensitive equipment that can detect seismic rumblings that are a prelude to an eruption. "Years, months, weeks," Waythomas said. At worst, it would be hours. Waythomas says Alaska's recent eruptive history is a lesson in how much just a dusting of ash can disrupt life. 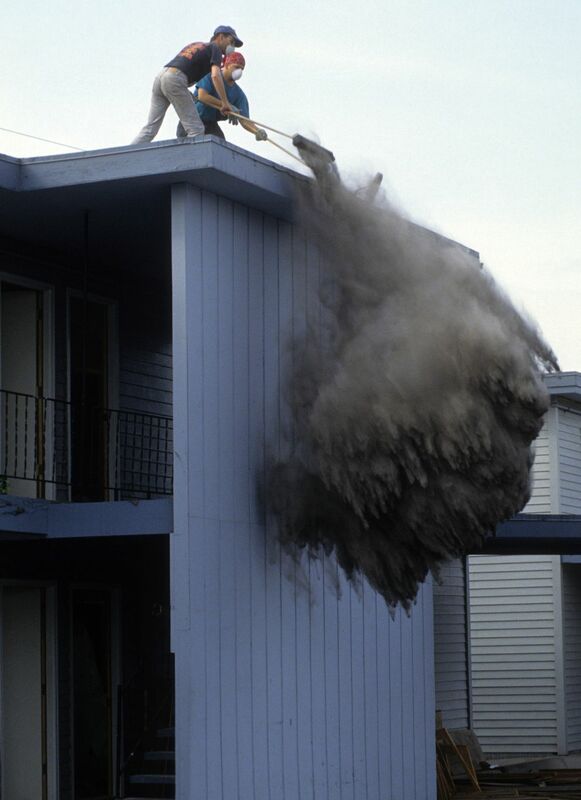 "Just a little bit of ash, millimeters, can cause problems," he said. Imagine, he says, what a half-foot might do.